The Sami language is spoken in Northern Norway and Finland by an ever-decreasing group of people – less than 20,000 people now speak the language, and numbers are only in decline as Norwegian and Finnish creep further and further up the Nordic region, and it may one day usurp Sami entirely. However, Nils Rune Utsi is a man on a mission to reverse this downward trend in Sami speakers. In an attempt to boost interest in the language, he founded a rap group called Slincraze, rapping in Sami to make this language more relevant for younger generations and to stimulate interest with a view to making sure Sami stays in the consciousness of native speakers. The concept is simple: if the Sami youth associate the language with something young, fresh and fun, they may feel more inclined to embrace the language themselves and want to keep the language alive. Of course, if Sami youngsters think about the language in a positive way, they will be more likely to ensure their own children learn Sami. As is the case in so many parts of the world, the lesser-spoken languages are in danger of dying out at the hands of the dominant languages of the region. Lots of Sami children may well also speak Finnish and Norwegian, and may prefer to use these languages as a matter of prestige or to improve their chances in the job market. There is a similar situation in Wales, where fewer children are learning to speak Welsh as English is regarded the language of prestige and global importance. There is a scene in the TV show Gavin and Stacey where Bryn, a man who has lived in Wales all his life, tells a group of Englishmen that ‘Nobody in Wales speaks Welsh’. Could we be seeing a similar situation arising in the future with Sami? If you were a speaker of an endangered language, how would you go about making it relevant and a desirable language to learn? The Notting Hill Carnival, Europe’s largest street festival, takes place every August Bank Holiday when the whole of West London comes alive. On the Sunday and Monday of the August Bank Holiday weekend, over 1 million Londoners and tourists will join the street party, which every year becomes bigger, brighter and wilder. Will We Listen to French Musique Pop? 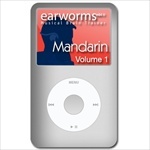 The Earworms Rapid French Volume 2 is the follow-on audio language course from Earworms Rapid French Volume 1. It comes included in the Earworms Rapid French downloadable package with volume 1. Having already tried out Volume 1, I found that Volume 2 was more of the same – but at a faster pace and learning much longer phrases. Again, we meet the same presenters as in Volume 1 and with the same method of learning the French language via rhythmic music. We hear techno, reggae, chilled out music and even echo effects that are quite catchy! It’s this catchy and melodic music that helps you to pick up the language quickly and also helps you remember particular words and phrases. This is what Earworms calls the ‘accelerated learning technique’. The English-speaking presenter reinforces our memory for learning certain phrases by associating them to English words. For example, for un instant he says ‘ah, like an instant’. Later he quips that he is going to remember souhaite (wish) by thinking of a sweatshirt with ‘WISH’ written across the front in big letters. These word associations tie in with the ‘memory hooks’ that Earworms also use. The memory hooks help you to associate the French to a visual memory and familiar words in English. As with Volume 1, what I enjoyed most about the Earworms Rapid French was that I didn’t find learning the language too challenging. It is a fun way to learn a language. The one disadvantage to learning this way is that you have to like the music. I can imagine that if you don’t like the music, then you might find this method of learning quite irritating! This course comes with a useful downloadable booklet. It gives more information into what the accelerated learning technique is about. It also lists all the phrases and words found in the course. This is useful for those (like me!) that like to see the written language and associate it with hearing the language at the same time. This way of learning is different but is accessible for most learners. The course can be listened to on the beach, on a train, plane or anywhere where you can listen to the music and not concentrate too hard on what is being taught. 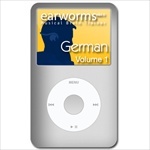 Earworms courses are available in several languages.